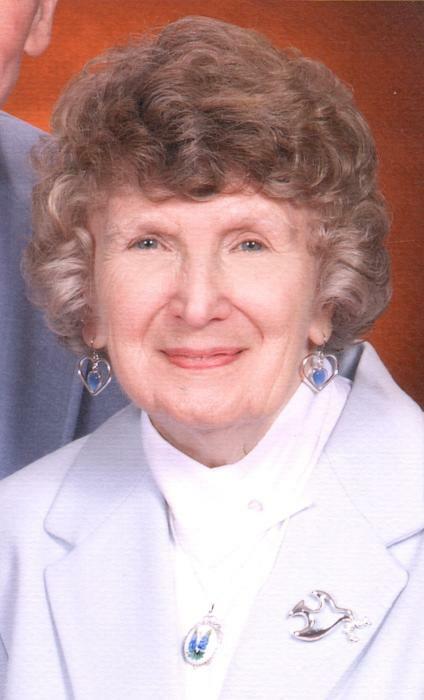 Obituary for Rita J. Seese | Graft-Jacquillard Funeral & Cremation Services, Inc.
Rita Jo Seese, 92, of Scottdale, passed away Friday, May 4, 2018 at Excela Health Westmoreland Hospital in Greensburg. She was born on July 16, 1925 in Uniontown to the late Michael Ambrose and Johanna (Pavlits) Dragon. Her husband was the late Gilbert Tannehill Seese, Sr. who passed away in 2012 at the age of 92. Rita was able to forego her senior year of high school to attend California State Teachers College and three years later earned a Bachelors Degree in Education. She went on to receive a Masters Degree of Education from the University of Pittsburgh. Upon graduation from California State, Rita began her teaching career in Somerset, PA. She often commented that in her first year or so of teaching, many of her students were older than she. She taught in the former Scottdale School District and the current Southmoreland School District for a total of 37 years. Her primary subjects were in mathematics, specifically Algebra and Geometry. At Southmoreland, Rita served as head of the math department for many years. Rita's family were avid travelers and were fortunate to make numerous trips throughout the United States, first by camping in tents and eventually by using various types of RVs. They enjoyed visiting national parks and historical sites, as well as fishing and rock hounding. By virtue of Rita being awarded National Science Foundation Scholarships, two of their most enjoyable trips were spending the summer of 1966 in Ashland, Oregon and the summer of 1972 in Bellingham, Washington. Rita remained very active during her retirement traveling with Gilbert and spending time with her family in Virginia and Texas. She enjoyed volunteering at the Scottdale Public Library, painting beautiful and treasured items, playing bridge with friends, and being involved in the Trinity United Methodist Church and the Saturday Afternoon Club. Her “ministries,” as she fondly referred to them, were teaching Sunday School, creating and sending greeting cards, and sending devotions by email. She was still involved in these ministries in the days just prior to her passing way. Klingensmith of Scottdale) of Glen Allen, VA and Dr. Robert Michael Seese and his wife Lydia of New Braunfels, TX. Her grandchildren are Jennifer Seese Ayres and husband Bruce of Kailua, Hawaii, Gilbert Tannehill Seese, III and wife Rachel of Richmond, VA, Jeffrey Trew Seese of Ladysmith, VA, Chad Michael Seese of Kailua, Hawaii, and Sarah Renai Seese of New Braunfels, TX.